I talked about the first day of our Phuket trip on my previous entry so here's part 2 of it! 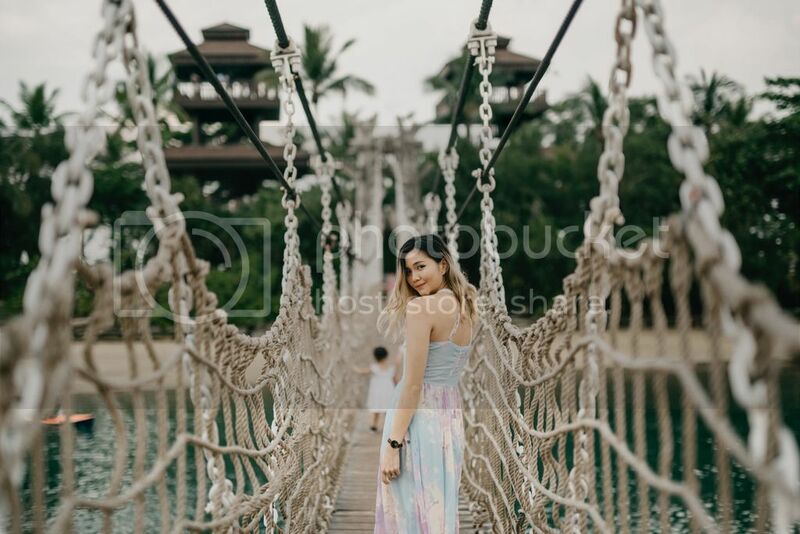 The second day makes up most of this post because both Shane & I were down with a tummy upset after that & we mostly stayed in our villa the rest of the time. 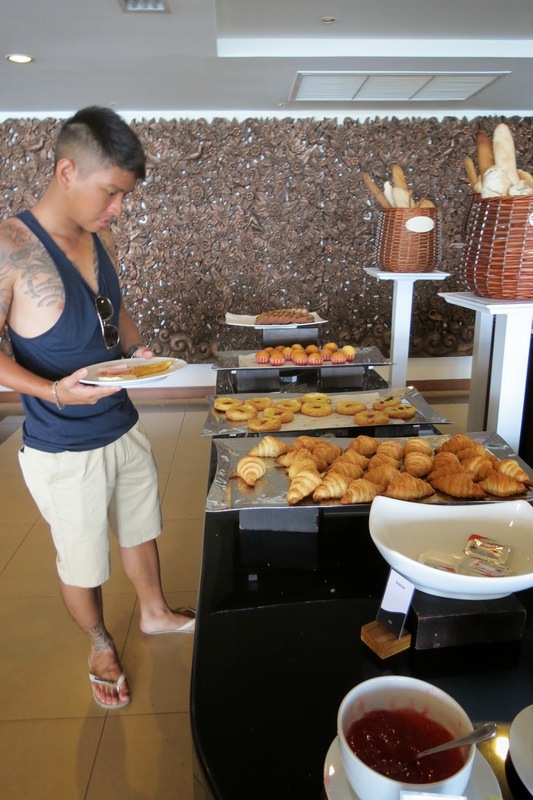 So that morning we woke up just in time to catch the buffet breakfast at our resort! 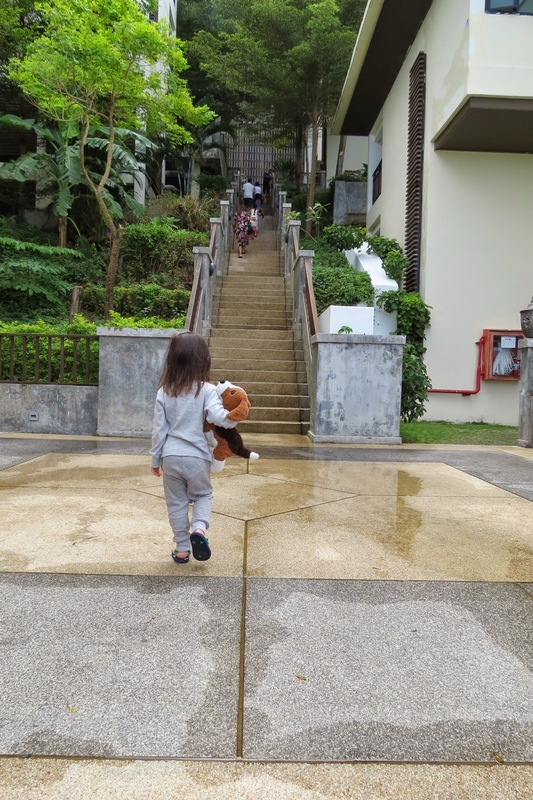 We decided to walk to the restaurant instead of calling for a shuttle to bring us there since it was only half way down the cliff & we also wanted to explore the resort. Walked down quite a few flights of stairs but when we reached the pool terrace, we were blown away with an incredible, unobstructed view of the sea! Loved the buffet spread! Breakfast will always be my favourite meal of the day. 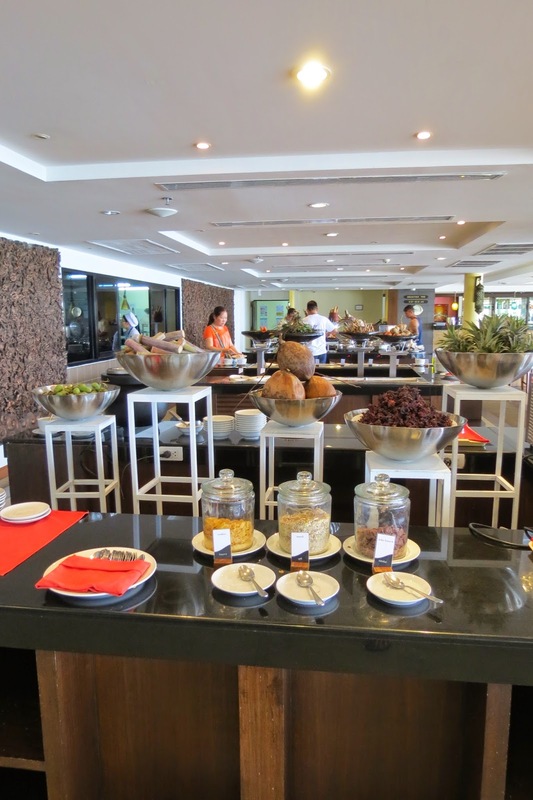 The buffet had a pretty wide variety of food for us to choose from. They even have an egg station where they'll whip up the kind of eggs you desire - scrambled, half boiled, omelette etc. & you can also choose what toppings you want in your eggs! Love how happy & well-behaved Kylie was throughout our entire trip. You could tell she really enjoyed every single moment of it, right down to her bowl of cereal! Little bear was so happy, she was running around checking the view out, chasing birds & bringing a smile to the staaff & other patrons there while we ate. She was in SUCH a brilliant mood. So chirpy, she was singing away! We didn't get the chance to swim at the resort's infinity pool since we were stuck in our villa with frequent tripss to the bathroom (heh) but I read that there's also a swim up bar! Headed back to our villa to rest for a bit then head to Patong beach! Flights & flights of stairs back! & for some reason, this girl wanted her shoes off. The entrance to our villa! Got changed & played around with the camera while we waited for the little one to finish up her milk! & off to the beach we go! Had the shuttle send us down to the lobby & we took a 15min walk to the beach cause we missed the earlier shuttle & didn't wanna wait another hour. Had to walk quite a distance to the main area of Patong beach (where the red & yellow flags were). Kylie kept stopping halfway & asking if she could take out her sand toys. 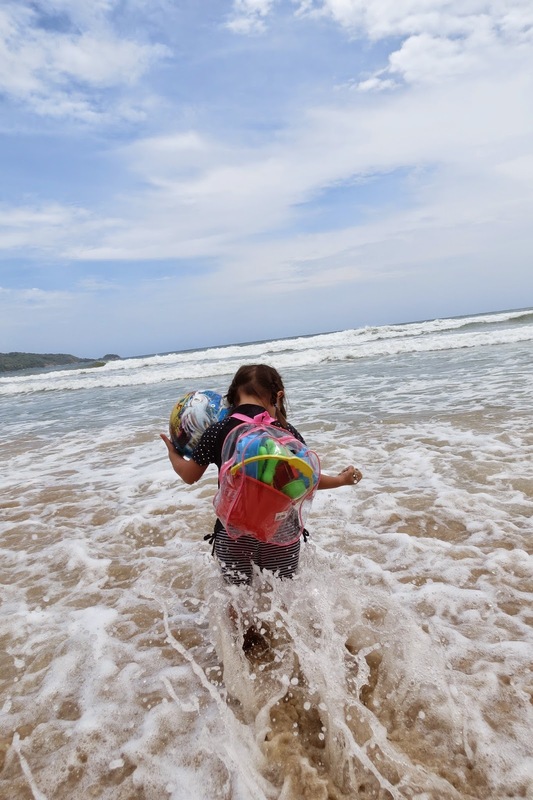 When we told her we were gonna set up our mats at this spot, she immediately took off her bag pack, dumped all her toys onto the sand & got to work right away! & Shane headed straight for the sea, without sunblock whatsoever. He only came back for sunblock like half an hour later & got a mild sunburn when we got back. Lazed on the sand while I watched my two lovers bond with each other. Such simple pleasures. Taking on the big waves! It was my first time at experiencing such huge waves cause I've never been to a beach overseas before so it was pretty thrilling! There was once where I took a huge wave & it knocked me off my feet and washed me onto the shore while Shane & some other tourist giggled. Kylie wasn't spared too! We grabbed her tight & sat with our backs facing the waves while waiting for impact. She was a little scared yet ecstatic at the same time. Had a really swell time there! Shane's usually afraid of swimming in the open seas but while we were there, he decided to just dive in! I was pretty surprised! Unfortunately, just as he had overcome his fear of swimming in the sea, he got stung by a jellyfish. I took Kylie's swim bottoms off & made her pee on his sting. What a beautiful sight by the beach (haha). & here's the sweetheart trying to make her daddy feel better. Spotted a little crab too! My brave trooper letting it crawl on her arm. Then Kylie decided to give me a "sand spa/massage". Yes, she literally covered me in sand & told me it was a massage. 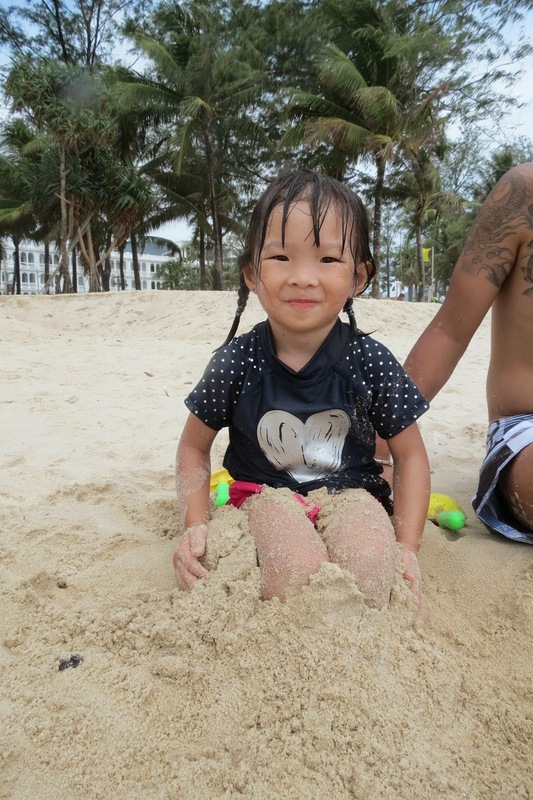 When we got back from the beach that day, we already had plans to go to the Fantasea cultural theme park & spend our night there. I had booked the tickets together with my flight and hotel through Expedia & was really looking forward to the dinner buffet & bringing Kylie to see the show but I had to cancel the tour because Shane's food poisoning suddenly kicked in & he could hardly walk. Fortunately, I could cancel the tour & get my a refund without having to pay any penalty. That night was pretty dramatic. Shane was throwing up all over the toilet & spend more than an hour on the toilet while Kylie & I ordered room service for dinner. My tummy started feeling a little unwell that evening too and I kept praying hard that I wouldn't fall ill too or else nobody would be able to watch over Kylie. "Hello? My father is sick!!" hahaha. That girl never fails to amuse me. To cut the long story short, the doctor arrived with his assistant while it was pouring outside, gave Shane a jab & by the next morning, he was up & about again! I however, was stuck in bed with a queasy tummy the entire day 3! Thankfully, Shane was able to watch over Kylie while I was all sickly. Day 3 was also Kylie's actual birthday & we surprised her with the present that we bought from Jungceylon on our first day! Played Lego on the bed for quite a while until Kylie decided she wanted to swim again! The private pool in our villa was a really worth the money because Kylie & Shane could still enjoy even if we were stuck in our resort. I was really bummed about not being able to visit the beach again because we had so much fun there but then again, I'm glad the pool didn't make staying in the villa such a bad thing. I watched them play from the bed & although I felt pretty horrible, hearing their laughter made it a whole lot more bearable. Shane & Kylie took an evening nap after their swim & I fought with the lethargy to stay up & wait for sunset. But it didn't happen because as soon as it was about time for the sun to set, dark clouds started to cover the sky, at the same time eliminating my hopes of catching a beautiful sunset! Before we knew it, it was day 4 & time to go home. We had an early flight to catch so we all got up before the first stream of light broke through the clouds. Phuket was really enjoyable the first half of our trip! I feel so bummed because even though we had a good time, I know that we would have enjoyed our trip wayyyyy more if both Shane & I didn't get a tummy upset! My only comfort is that at least one of us really enjoyed the entire trip! Me: "We have to go back home to Singapore." Me: "You have to pay to stay here & it's expensive." Kylie: "I know! I will go home & take money so we can stay here again!" 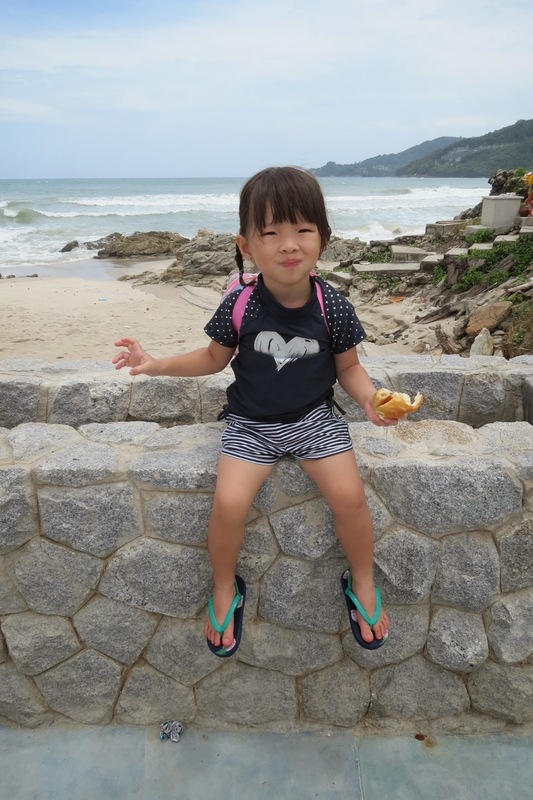 Haha, she really loved Phuket! It poured on our way to the airport. & the winding roads made Kylie a little sick. 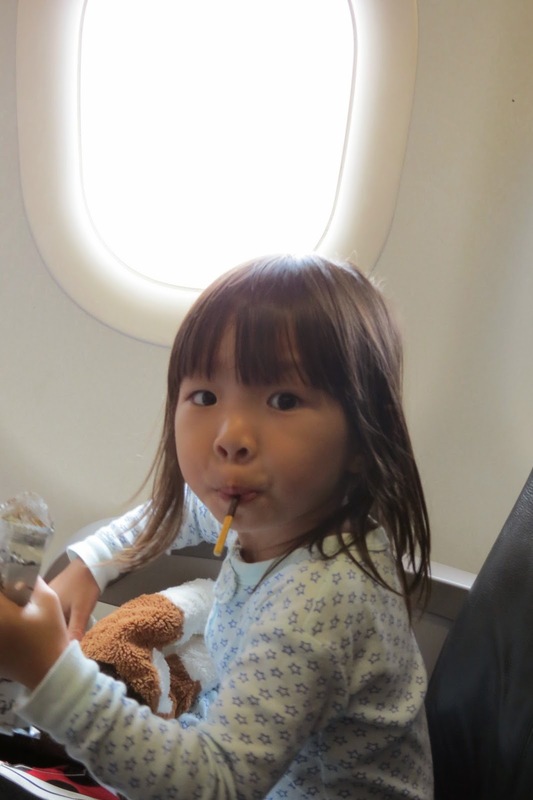 She kept whining & fidgeting throughout the ride & even complained that she wanted to vomit. 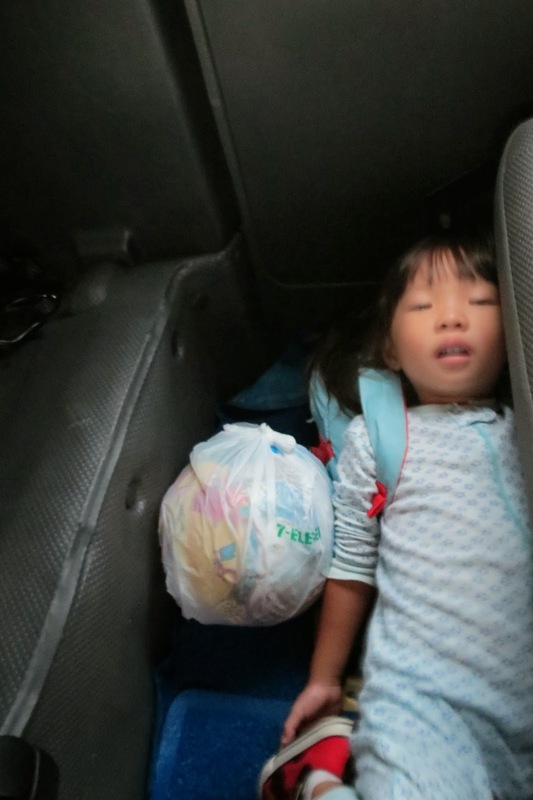 I think she got a little motion sickness & ended up puking into a plastic bag just as we were checking our bags in. 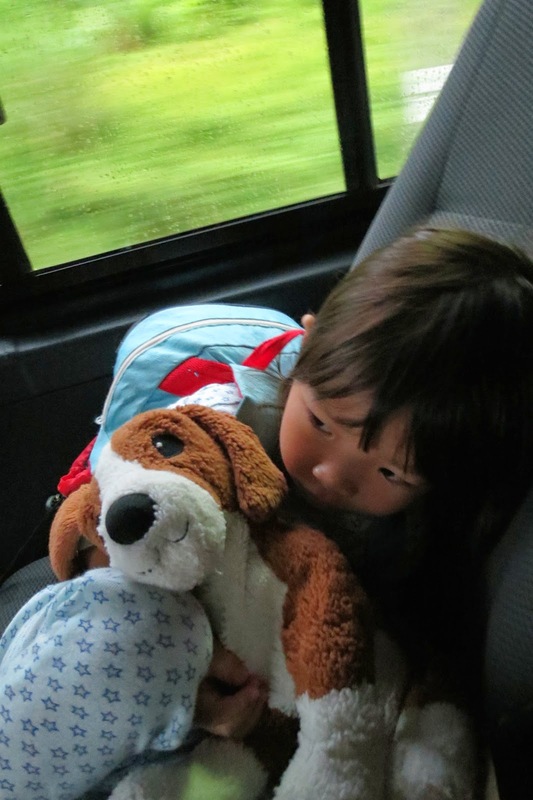 The kind driver heard her restless cries & even turned on Madagascar for her to watch! How nice of him! She felt much better after throwing up though! I hope we'd have a second chance with Phuket again! Would I recommend The Blue Marine Resort to friends & family? DEFINITELY! Totally want to go back to Phuket again & make the most of our trip the next time round!! 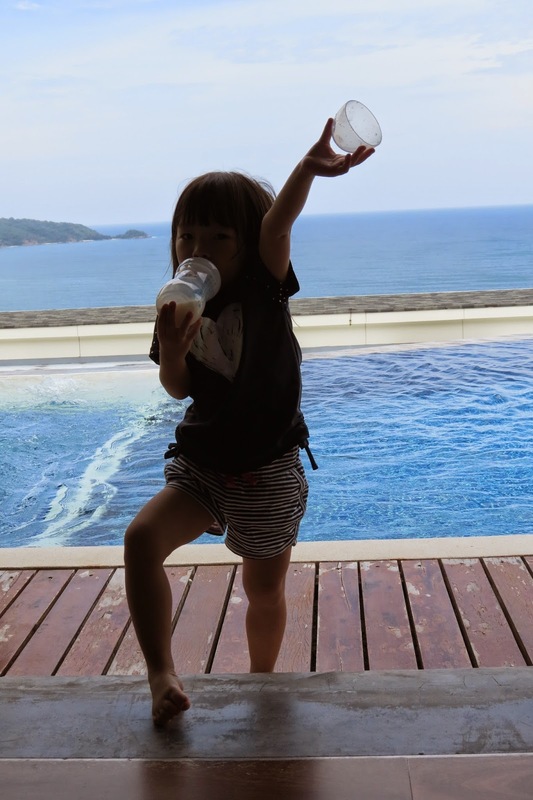 So that's it about our trip to Phuket, I leave you with a video of Kylie's review on our Phuket trip! 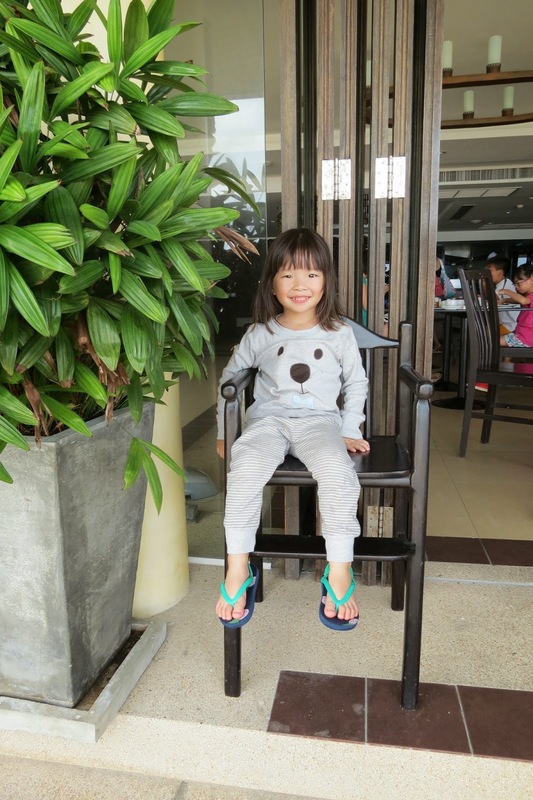 Phuket part 1 / Kylie's first plane ride!